← Washing with peroxide, oxi-clean, and borax. We used to buy these in that foil bag that can’t be recycled. Now I get them in bulk at Whole Foods. Problem solved. 100% zero waste if I bring my own container. Sometimes I reuse the same plastic bag, wash the sticky pruniness out of it when I get home and take it back next time. It’s a little easier than carrying the glass canister and so far I haven’t had to throw it out….but one day I will. So, no– that’s not zero waste. 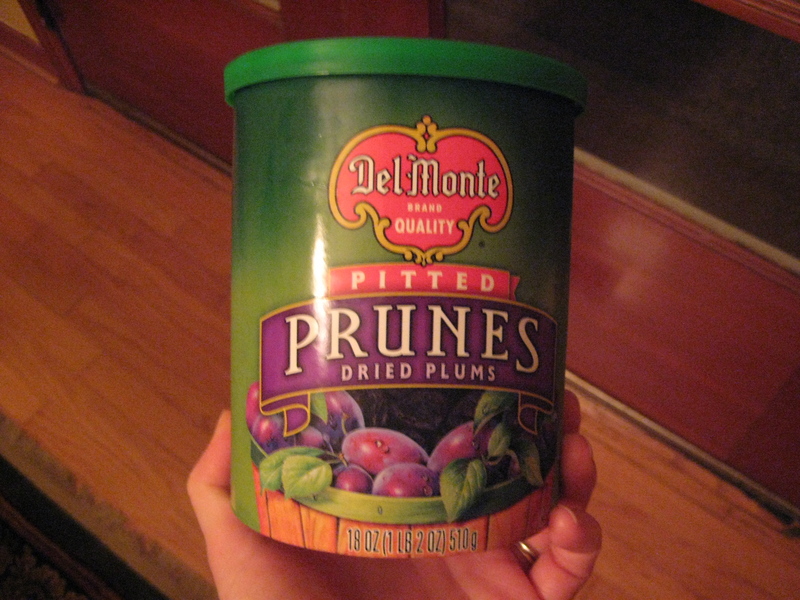 Most bulk products aren’t as sticky and messy as the prunes, and it’s just going to go into the glass container when I get home anyway. Whole Foods is always more than happy to weigh my glass canisters before I fill them up! What a store. Of course, not everyone has a Whole Foods in their area, and the prices aren’t exactly low. Have you found anywhere else to buy fruit or grains in bulk? I’m all ears. This entry was posted in Switching products/brands and tagged bulk foods, environmentally- friendly, grocery shopping, military lifestlye, military spouse, militaryzerowaste, Packaging, Plastic bag, Prune, switching products, zero waste. Bookmark the permalink. We have a coop in Sydney (well more than one, but I use only one), and it does bulk grains and dried fruit. It’s pricey, but I figure I should put food first as a budget item, rather than eating out or shopping or holidays even. Careful with the dried fruit that ants or flies don’t get in – I know the coop has issues with the bulk stock getting damaged like that, so they use a STACK of plastic bags (reused) and sticky tape, to keep things tightly closed! a neighbor drives me to an Amish store about 15 miles out to buy bulk or bagged grains, nuts,spices, dried fruits, veges, glass jars for honey, jellies, canned goods etc–i return every package for a refill. no, i haven’t had any pruniness problems..it must take water and soap to clean, which makes it at best a neutral exchange in this case..
happy prun-ing to you all. Nadine—ah, the Amish. Your store sounds heavenly. Sarah–there is a coop I found about 20 minutes from here. Plan on taking a gander next week when I go into town. Great idea! !